This new kitchen adds a new injection of luxury with a re-thinking of the existing kitchen and breakfast room layout. 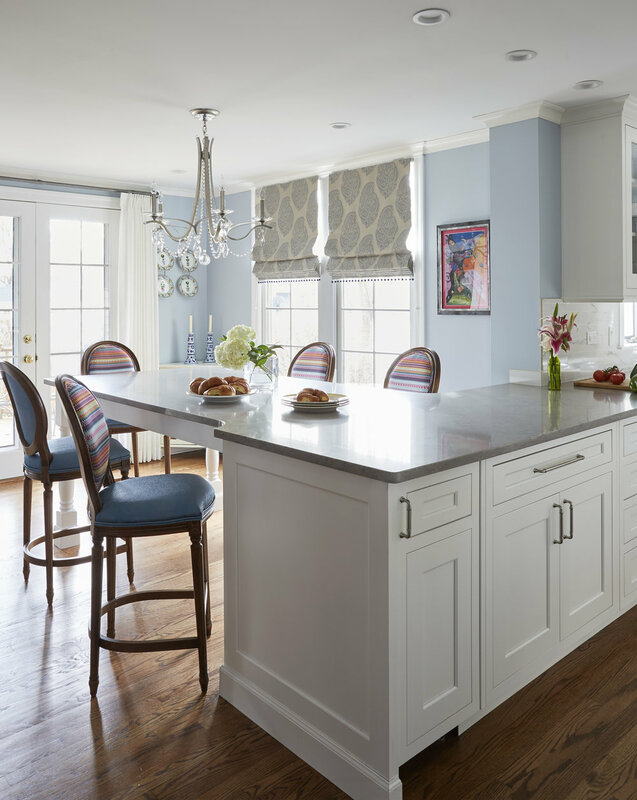 The undulating perimeter counter flows out to create a breakfast table. This allows for maximum use of the existing space while maintaining an open look. We also created a walk-in pantry that allows for overflow storage and keeps the countertop appliances out of sight but still within reach. Additionally a new hutch was added for much needed storage in the dining room. The refined materials and fixtures have created a luxurious look that integrates well into this home.